Why book golf vacations with an Irish Golf Tour Operators? Managing the booking process from start to finish for golf tee times, 4* or 5* hotels. Arranging chauffeured driven services and helicopter golf in Ireland. Booking events for dinner reservations, birthdays and party events. Organising non-golfing activities such as sights to see, genealogy, and places to visit. Anything else you can think of, photographers, videographers, musicians, magicians and so on. 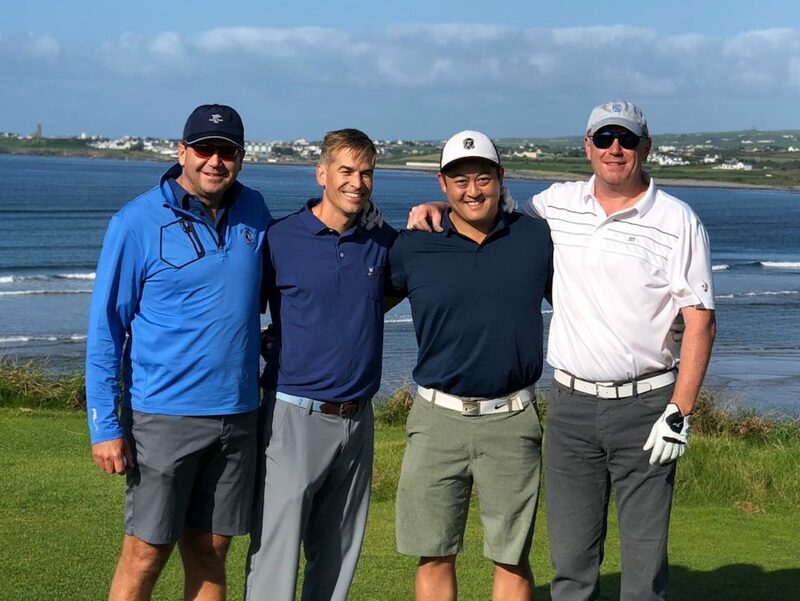 Indeed, from the following seven points you may agree that Concierge Golf Ireland is an excellent choice to manage upcoming golf vacations to Ireland, Scotland or England. Why use an Irish Golf Operator? Time! Notably, building a golf tour can take as much as 90 to 140 hours. Because someone needs to find and locate all the information necessary to build an itinerary and coordinate that plan to the group. However, you may need to redraft the plan often before the group agrees on the golf courses, places to stay, transport and then the costs. Also, consider how much of your time is available to directly deal with golf courses, hotels and transportation companies. Testimonials. Valid testimonials are excellent indicators, and they can help with decision making. Click HERE to view Concierge Golf’s testimonials. Identify what customer services are available. Such as the number of casual meetings and check-ins between the group and the tour operator during the trip. What is the average response time to answer questions and to deal with requests? Ensuring the requests are handled professionally by the tour operator and not by the group. What are the direct lines of communication to the tour operator should an unforeseen event happen? Using a golf tour operator/ golf pro that can fix a golfer’s swing and returning their game to winning ways is vital. John Dooley is a PGA Golf Coach, and John can help golfers play better golf during their golf tour. Either by playing golf with the group or working on their golf swings at the driving range. It’s easy to find a golf operator online. However, it is not that easy to identify what golf operator is best suited. Therefore, it is vital to search operators and review their website. I would investigate the site to find out many years in business, their operational experiences, sample golf tours and services, testimonials, finally the look and feel of the site. The golf operator will have specific knowledge and insights into selecting the best golf courses. The type of transport needed, the driver, and the daily logistics moving from hotels to courses without any problems. Finally, identifying the best hotels to suit the golfer’s requirements. Indeed, arranging dinner reservations and pub recommendations are equally important as golfers are looking for the total fun Irish experience: not to mention, where to go and fun things to do in the various places been visited. It is crucial to explain with what parts of the itinerary are fixed and what parts are flexible. For example, some tee times cannot be adjusted, however, should there be unexpected delays on route to playing golf. We are in the know, contact us asap, and we are likely to find another tee time should golfers miss their tee times. Play the golf courses you want to play and visit places you would like to see. Everyone is different, and there are reasons for travelling to various parts of the world to play golf. Certainly, personalised the golf tour. While planning a golf tour. Do ask for a list of things to do. Not every day needs to be a golf day and why not look into what is fun to further investigate. Deal with one company and one person to manage the bookings for tee times and everything else. Also, a good working relationship will develop, and he/she will be prompt answering questions and additional requests. Too much travelling is too much travelling and changing hotels frequently is painful. Use one hotel location for as much as the tour as possible and playing the same golf course twice is a good idea. Such as staying at the Slieve Donard Hotel and playing Royal County Down twice or three times. Or the group could locate in Tralee or Killarney and spend four or five nights. 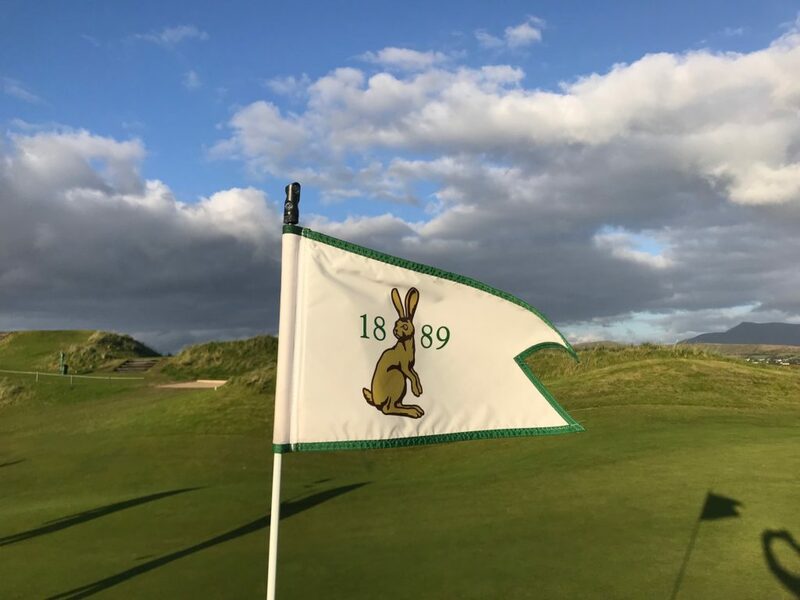 Then play golf Ballybunion, Tralee, Waterville, Hogs Head, Killarney Golf Club and daily return trips to Old Head Golf Links or Cork Golf Club without changing hotels. Make golf life fun. Add on group dinners at the start and the end of the trip. Ensure to play golf games daily within the group, and there are all sorts of games to play. The group can personalise golf hats, shirts, golf tees, balls, towels, with fun logos and script. Develop a relationship with a good golf operator will create booking preferences for tee times, transportation, hotel rooms, restaurants and things to do. It is vital to us that each customer has a direct line to “contact us” by whatever means, such as email, phone, text, or via communication apps like WhatsApp, facetime and so on. Therefore, customers can contact the tour operator any time he/she is required. We ensure that our customer’s golf travel is easy and stress-free. Our customer’s information is kept secure, private and we do not hold customer’s billing information on file. We shred all charging information once payments are processed. We do not share customer information with any other source. Golfers may consider using Dublin Airport’s Platinum Service for a quicker passage from exiting the plan door to move through customs. Also, we use Irish Helicopter Services for the fastest transport routes from golf courses to hotels. Ultimately, using a golf tour operator will save time researching how to book a golf tour. Also, a tour operator will take all the stress away from dealing with the terms and booking conditions for each golf course, hotel and transport companies. Using a tour opp will reduce any misunderstandings and miscommunications. Arranging golf tours can take approx. 100 – 140 hours. The golf tours can be to Ireland, Scotland or England. Essentially the operator is organising and fine-tuning the contents of their customer’s golfing itineraries. Which, is managing all the various bookings and payments from the initial deposits to final payments and ensuring the group is enjoying a great tour. Notably, Concierge Golf is at hand to adjust reservations and add-on last-minute extra services. We believe in spending time with people during their golf experiences in Ireland or Scotland. Thus, adding much more security and confidence to the working relationship. As a golfer, it fun to play golf, hang out at the course and enjoy a laugh. That relationship between the tour operator and golfer is the bases to the Concierge Golf company culture. Firstly, identify what all the total costs are for the trip such as tee times, accommodation, transport and taxes paid. The pricing information should be clear from the proposal received. Please note that during the tour, extra costs may apply to last-minute itinerary changes. Currently, most golf courses require full payment on booking and the times booked are not changeable and non-refundable. Resulting in less flexibility if golfers need to move their tee times around by a couple of days. Notably, pricing will vary depending on the type of hotels selected, such as from 3* to 5* hotels and sharing or single rooms. The range of golf courses and the number of people sharing transport will impact on the price. However, it is essential to check the pricing between operators. A big note***, book golf trips early and avoid been caught with higher hotel prices when concerts, sports events or similar are being hosted by cities. A tour operator should be able to take customer payments using all major credit cards. It is critical that the itinerary should state clearly what is included in the price and what is not included. Notably, golfers should receive a separate document from the tour company explaining in detail. Such as, what are the terms and booking conditions, cancellation policy and refund policy? Finally, please ensure that your travel insurance policy is up to date. Above all, personal space and comfort are critical for travelling around Ireland in a bus. Please, use a vehicle that is big enough for the group and their luggage. Additionally, the large hard plastic golf travel cases are awkward to store and take up too much room. Therefore, please avoid travelling with hard travel cases. There are some advantages to using car rentals compared to a luxury chauffeured driven bus. We find that the golfer’s preferences depend on a few things. Such as is there a good rental car driver and how much golf will be played. A rental car is a much better choice for golfers that want more flexibility. Such as playing 36 holes daily with early starts and finishes late. A quick note. There are European laws on how much time the coach driver can be active daily. Also, the coach driver must have adequate rest periods before starting the following day. The worst situation is if the coach driver runs out of time where he/she will have to stop the bus. We created a blog post that further explains the ins and outs of rental cars and coaches, please click HERE to view a blog post. But, nothing beats playing golf and travelling in a chauffeured comfortable coach. Also, do ask the tour operator for a list of precise times for daily departures and arrivals. It’s crucial to arrive early to the golf courses with more time than you need. Such as not warming up properly hitting balls, shopping and a quick breakfast. Therefore, request a time travel plan from your golf tour operator and double check that the timings are accurate. Finally, we believe that it is essential to deal with an Irish Tour Operator best suited to your preferences for customer services. Please feel free to contact us today to manage your next Irish, English or Scottish Golf Tour. Contact Us Click HERE. Also, check and read more about 5 great add on to an Irish Golf click here.